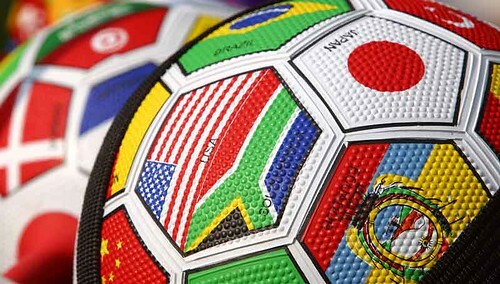 The World Cup begins in just over a day so I thought I’d update and repost an article I wrote about the debate over what to call soccer/football. While living in the UK, I learned that British people hate the use of ‘soccer’ to describe their favorite sport. As a culturally sensitive person, I dutifully referred to the sport as ‘football’ and referred to America’s most popular sport as ‘American football’. I was cool with that. I’m in their country; I’ll follow their customs. Just like I gave in to the use of ‘lifts’ instead of ‘elevators’, ‘trainers’ instead of ‘sneakers’, and ‘trousers’ instead of ‘pants’. Now that I’m back in an American English environment, I’ve slowly resorted back to my native dialect. Still, I find myself using ‘mobile’ instead of ‘cell phone’; it just sounds cooler. And I’ve given in to the near universal use of ‘toilet’ instead of ‘restroom’. It’s a distasteful word to American ears, but just about every country outside of the US use some form of it. What surprised me was the anger and bitterness towards the American use of the word ‘soccer’ instead of ‘football’. It is somehow the symbol of American imperialism. And this attitude extended to some of my other European and South American friends too.